The Homeschool Buyers Co-op is pleased to present a Bonus SmartPoints Offer for Math Mammoth, a popular math curriculum and a Cathy Duffy Top 102 Picks for Homeschool Curriculum, (See Cathy's review.). 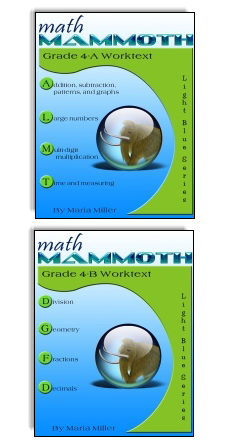 Created by Maria Miller, a math teacher and passionate homeschool math advocate, Math Mammoth offers a comprehensive library of PDF math worktexts, workbooks, and complete math curriculum. 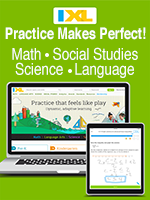 Drill & Practice: Not only can Math Mammoth be used as a COMPLETE curriculum, it is also great for supplement or practice for any weak areas your student needs to improve on. Very little preparation is needed which is PERFECT for busy homeschool moms! 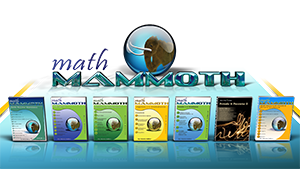 Visit the Math Mammoth Ongoing website for more information. Fulfillment: Within 15 minutes of placing your order, the Co-op will publish a link in your Co-op account that you can use to download your product(s). We will notify you by email when this is ready. If you don't receive the email, simply sign into your Co-op account and look on your "My Subscriptions" page under "Math Mammoth" for instructions and link. Returns/Cancellations: This is a digital download product, there are no returns or refunds available. Additionally, in order to bring you these great prices, we cannot accept returns or cancellations. This is a downloadable product only! 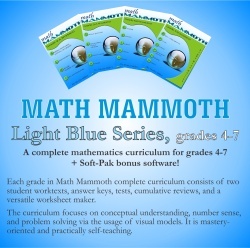 Math Mammoth Light Blue Package - Grades 1-7: Math Mammoth Light Blue Package - Grades 1-7: This series constitutes a COMPLETE elementary mathematics curriculum for grades 1 - 7. By purchasing this package, you will receive 14 PDF workbooks --- about 2,100 lesson pages in all! Each complete grade level consists of TWO worktexts (A & B), answer keys, tests, cumulative reviews, AND an additional worksheet maker. This package emphasizes on mental math, mastery, developing number sense, AND MORE! Practically self-teaching for kids who can read --- which means very little teacher preparation is needed! Perfect for busy homeschool moms! This series also includes the Golden/Green Series and the Review Workbooks. PLUS... you will receive an ADDITIONAL bonus software -- Soft-Pak! 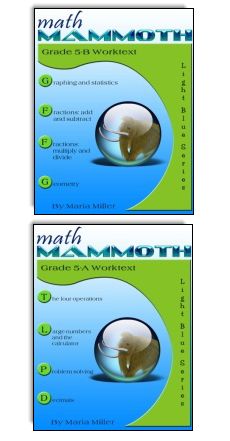 Math Mammoth Grade 1 Complete Curriculum is a complete math program for 1st grade. It consists of two student worktexts (A and B), a separate answer key for each, tests, cumulative reviews, and in the download version, an additional worksheet maker (Internet access required) to make extra practice worksheets when needed. PLUS... you will receive the Original and International versions of Grade 1 and ADDITIONAL bonus software -- Soft-Pak! 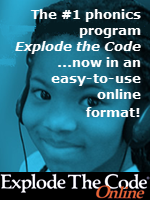 Math Mammoth Grade 2 Complete Curriculum is a complete math program for 2nd grade. It consists of two student worktexts (A and B), a separate answer key for each, tests, cumulative reviews, and in the download version, an additional worksheet maker (Internet access required) to make extra practice worksheets when needed. PLUS... you will receive the Original and International versions of Grade 2 and ADDITIONAL bonus software -- Soft-Pak! 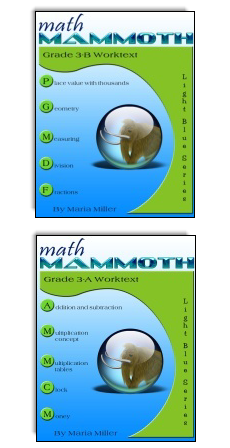 Math Mammoth Grade 3 Complete Curriculum is a complete math program for 3rd grade. It consists of two student worktexts (A and B), a separate answer key for each, tests, cumulative reviews, and in the download version, an additional worksheet maker (Internet access required) to make extra practice worksheets when needed. Third grade is a time for learning and mastering two (mostly new) operations: multiplication and division within 100. The student also deepens his understanding of addition and subtraction, and uses those in many different contexts, such as with money, time, and geometry. Students develop an understanding of multiplication and division of whole numbers through problems involving equal-sized groups, arrays, and area models. They learn the relationship between multiplication and division, and solve many word problems involving multiplication and division. They learn the multiplication tables, and learn how to use their knowledge of multiplication tables to solve basic division facts. Students develop an understanding of fractions, beginning with unit fractions. They use fractions along with visual fraction models and on a number line. They also compare fractions by using visual fraction models and strategies based on noticing equal numerators or denominators. Students learn the concepts of area and perimeter. They relate area to multiplication and to addition, recognize perimeter as a linear measure (in contrast with area), and solve problems involving area and perimeter. Students fluently add and subtract within 1,000, both mentally and in columns (with regrouping). They learn to add and subtract 4-digit numbers, and use addition and subtraction in problem solving. PLUS... you will receive the Original and International versions of Grade 3 and ADDITIONAL bonus software -- Soft-Pak! 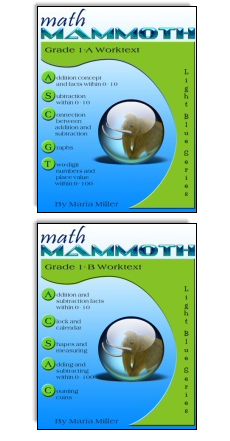 Math Mammoth Grade 4 Complete Curriculum is a complete math program for 4th grade. 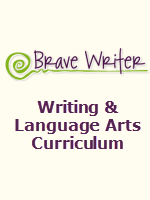 It consists of two student worktexts (A and B), a separate answer key for each, tests, cumulative reviews, and in the download version, an additional worksheet maker (Internet access required) to make extra practice worksheets when needed. Students measure and draw angles, solve simple angle problems, and classify triangles according to their angles. They also study parallel and perpendicular lines. When you use these books as your only or main mathematics curriculum, they can be like a "framework," but you do have some liberty in organizing the study schedule. Chapters 1, 2, and 3 should be studied in this order, but you can be flexible with chapters 4 (Time and Measuring) and 6 (Geometry) and schedule them somewhat earlier or later if you so wish. Chapter 3 (Multiplication) needs to be studied before long division in Chapter 5. Many topics from chapters 7 and 8 (Fractions and Decimals) can also be studied earlier in the school year; however finding parts with division should naturally be studied only after mastering division.PLUS... you will receive the Original and International versions of Grade 4 and ADDITIONAL bonus software -- Soft-Pak! 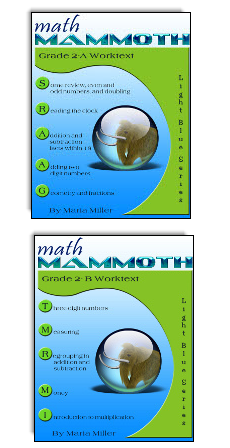 Math Mammoth Grade 5 Complete Curriculum is a complete math program for 5th grade. It consists of two student worktexts (A and B), a separate answer key for each, tests, cumulative reviews, and in the download version, an additional worksheet maker (Internet access required) to make extra practice worksheets when needed. PLUS... you will receive the Original and International versions of Grade 5 and ADDITIONAL bonus software -- Soft-Pak! 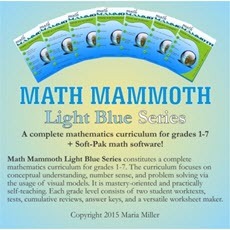 Math Mammoth Grade 6 Complete Curriculum is a complete math program for 6th grade. It consists of two student worktexts (A and B), a separate answer key for each, tests, cumulative reviews, and in the download version, an additional worksheet maker (Internet access required) to make extra practice worksheets when needed. PLUS... you will receive the Original and International versions of Grade 6 and ADDITIONAL bonus software -- Soft-Pak! 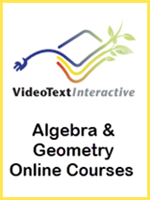 Math Mammoth Grade 7 Complete Curriculum is a complete pre-algebra program for 7th grade. It consists of two student worktexts (A and B), a separate answer key for each, tests, cumulative reviews, and in the download version, an additional worksheet maker (Internet access required) to make extra practice worksheets when needed. PLUS... you will receive International version of Grade 7 (Original version is not available) and ADDITIONAL bonus software -- Soft-Pak! Math Mammoth Grade 7-B Curriculum is the second semester to the Math Mammoth complete pre-algebra program for 7th graders. 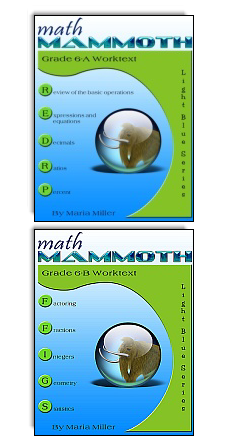 If you purchased Math Mammoth between August 2014 and July 2015, you would not have received the Grade 7-B materials. 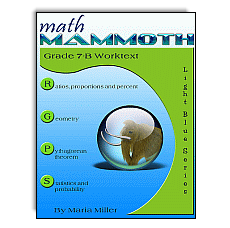 If you are looking for the complete Grade 7 Curriculum, please see Math Mammoth Grade 7 Complete Curriculum. If your child started with Math Mammoth Grade 7-A, they can proceed to Grade 7-B which consists of one student worktext, a separate answer key for it, tests, cumulative reviews, and, an additional worksheet maker (Internet access required) to make extra practice worksheets when needed. PLUS... you will receive ADDITIONAL bonus software -- Soft-Pak! 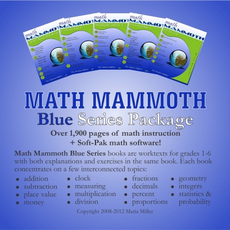 Math Mammoth Blue Series Package-Grades 1-7: This series constitutes a COMPLETE elementary mathematics curriculum for grades 1 - 7. By purchasing this package, you will receive 44 PDF workbooks --- about 2,100 lesson pages in all! Ever wanted a math workbook concentrating only on a few topics that seemed to be a problem right now? Maybe your child just isn't getting the concept of division, or your students have problems with fractions. Maybe you'd like to spend some time studying geometry, help a child with reading the clock, review long division, study proportions, and so on. The Blue Series books solve ALL these problems. By purchasing this package, you will receive 44 PDF workbooks --- about 2,200 lesson pages in all! Each book concentrates on a few topics, and includes BOTH the textbook explanations and LOTS of varied problems. You can simply replace a chapter of your regular curriculum with a Blue Series book! These are especially good for remedial or supplemental work AND can work as part of a complete curriculum as well! 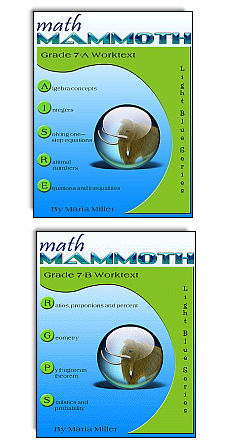 Math Mammoth Light Blue Series-Grades 1-3 Bundle: This bundle contains grades 1, 2, and 3 from the Light Blue Series, and includes the student worktexts, the answer keys, tests, cumulative reviews, and worksheet maker for each grade. See descriptions above for more product info. 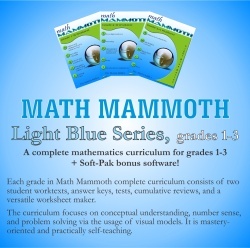 Math Mammoth Light Blue Series-Grades 4-7 Bundle: This bundle contains grades 4, 5, 6 and 7 from the Light Blue Series, and includes the student worktexts, the answer keys, tests, cumulative reviews, and worksheet maker for each grade.